Second in our article series on organizations using paddlesport to help youngsters in need. CV works with 19 youth agency partners that refer students to them. Check out the website list of the partners. 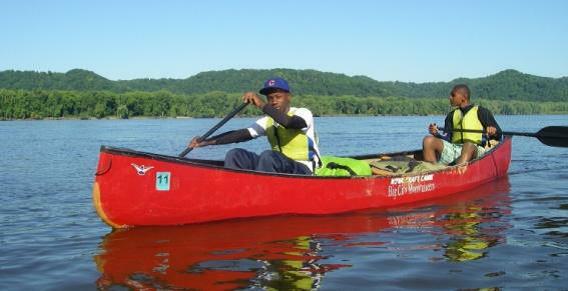 Chicago Voyagers (CV) Overnight Wilderness Canoe program allows youth ages 12-18 the opportunity to challenge themselves with wilderness and multi-day river canoeing expeditions. 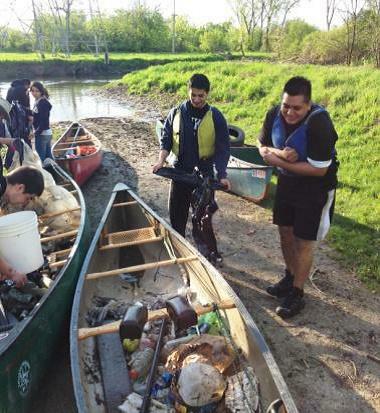 Tandem canoe programs are the perfect medium to help youth develop interpersonal skills. Chicago Voyagers’ mission is to empower at-risk youth through outdoor experiential adventures that foster healthy relationships and responsible behavior. Canoeing is a very popular program at CV and every season we work with returning paddlers who have been on the water with our teams on multiple occasions. The youth often take on leadership roles within the program and help teach their peers who are often nervous about being out on the water for the first time. The program gives these paddlers a chance to further challenge themselves and develop their own skills in an activity they have become passionate about. Program participants are underserved youth between the ages of 12 and 18 living in many of the poorest neighborhoods in Chicago. Last year, 35 youth spent 290 hours on the water. We work with near equal numbers of boys and girls, with 92 percent of our youth coming from low-income families. Our 2014 demographics were: 48% male/52% female; 58% Latino, 32% African American, 6% Caucasian; 2% Asian American and 1% Native American. Most of our youth rarely, if ever, get the chance to venture outside their own neighborhoods and experience nature. Our overnight wilderness canoe program allows us to further provide our youth with a sense of self-empowerment and personal achievement, feelings many of them are severely lacking. Our hope is that each participant will have a great learning experience and will take those lessons from the water home with them for use in their daily lives so that they can become positive influences in their own neighborhoods. For more information or to donate, please visit the website at www.chicagovoyagers.org.